The European Poker Tour is back and with it a stop at one of its most storied locations – Monte Carlo Bay Hotel & Resort. For 11 of the previous 13 EPT seasons, the PokerStars tour held its massive Grand Final in beautiful Monaco. It was there that some of the most recognizable names in poker stepped into the spotlight after winning the most prestigious Main Event on the tour. Names like Adrian Mateos, Steve O’ Dwyer, Gavin Griffin and Mohsin Charania all have their names etched into poker history as EPT Monte Carlo Main Event champions. Now, with the EPT reclaiming their branding after a year of trying something different, it’s back to their old Monte Carlo stomping grounds from April 24 – May 4 with a €5,300 Main Event. But while the tournament will be played under the old EPT name, organizers are bringing a host of new features to make this era of the EPT something new. PokerStars has adopted two of the most talked about advancements to tournament play in the past year: the big blind ante and tournament shot clock. While the big blind ante has been the topic of much debate in the poker community there’s one thing everyone can agree on – it speeds up the game. Dealers will no longer have to harass a table full of players to post their antes at EPT Monte Carlo, now just big blind will post the antes for the entire table keeping the action moving. The big blind ante format will be implemented in all of the schedules No Limit Hold’em events including the €5,300 Main Event and all of the High Roller events. Keeping with the theme of speeding up the game, the Main Event will also be utilizing a shot clock from Day 2 forward. The shot clock gives players 30 seconds to make any given decision. For those extra tough spots, like when you are considering folding a set of Kings on the river, players are six 30-second time bank card that allows an additional 30 seconds. As the EPT continues to recover from what was perceived as a down year, they have opted to rethink their stance on the Main Event being a complete freezeout. Players who enjoy the purity of tournament poker may prefer the “single bullet” format of one-and-done entries, but PokerStars understands that it needs to be accommodating to those players who travel a great distance to participate. No one wants to pay thousands for a flight and hotel only to get cooled off on the first hand. This season, they have placed a single re-entry on the Main Event, allowing players a second chance should things not go their way with their first buy-in. The Monte Carlo Main Event has two starting flights and so players are given the option to either re-enter in the same flight or, should they bust on Day 1A, they can pay to enter Day 1B. The ongoing, year-long PokerStars No Limit Hold’em Player Championship Platinum Passes promotion will, of course, be in play during EPT Monte Carlo. Over the course of the series, PokerStars will hand out six $30,000 Platinum Passes, over the course of the 11 days. The winner of the Monte Carlo Main Event, the winner of the €1,100 EPT National Event and two random draws on Day 2 of both of those events will all get passes. There is a €1,650 live satellite to the PSPC taking place on May 1 and organizers will add an extra pass to that event. Lastly, one lucky home viewer of the live stream will also find their way into the PSPC for free. That last Platinum Pass will be awarded to those who tune in to the PokerStars.tv live stream that will cover the both the Super High Roller Final Table as well as the Main Event from Day 2 until a champion is crowned. Anchored by James Hartigan and Joe Stapleton, the seven straight days of streaming is very likely to be joined by some of the Team PokerStars Pros that are expected to be in attendance including Jake Cody, Liv Boeree, Igor Kurganov, Andre Akkari and Fatima Moreira de Melo. After the success of the EPT Sochi, which saw attendance in the main event increase from 387 players in 2017 to 861 in 2018, hopes are high for EPT Monte Carlo. 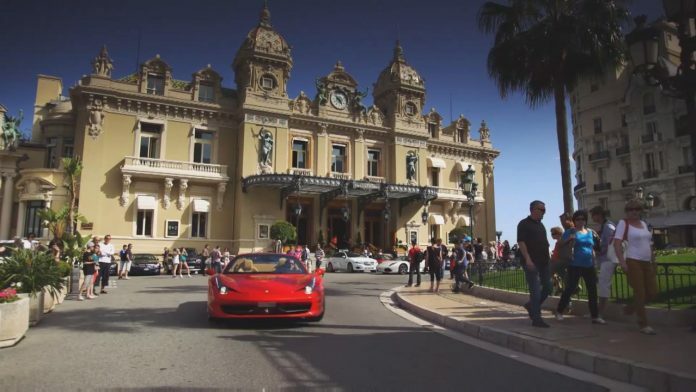 The festival kicks on April 24 and should players be looking for one more innovation to help them book their travel, organizers have arranged for discounts on the notoriously expensive food in Monte Carlo. There’s a 10% reduction on food in the poker room and players who enter any event will be given food vouchers.